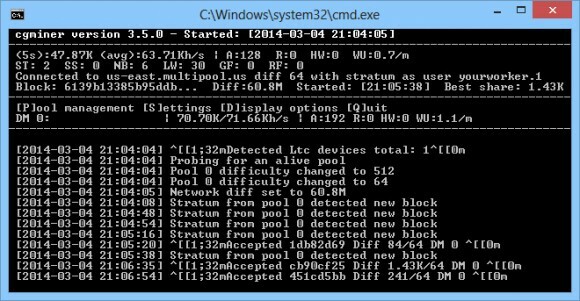 The DualMiner USB Scrypt ASICs using a single GridChip GC3355 processors do come with a modified version of cgminer 3.1.1 supporting the device, but this is already quite old version of the software. There is a newer version of cgminer 3.5.0 modified for use with with the single chip DualMiner USB Scrypt ASIC that we have compiled it for windows users and you can download it form the link below. This new version provides more up to date features and should be more stable and user friendly for use, but there is one important difference in the way you need to access your single chip Gridseed USB ASIC with the new cgminer 3.5.0. Have in mind that this version of cgminer 3.5.0 is compiled only for use for scrypt mining with the single chip DualMiner USB Scrypt ASIC devices, it will not work on video cards or other ASCI devices. 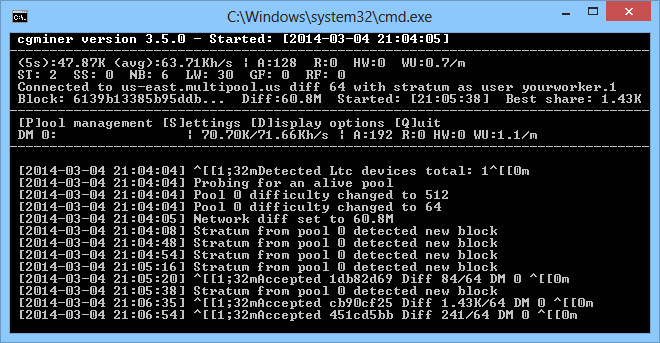 Note that this version of cgminer miner is also NOT compatible with the 5-chip GridChip GC3355 ASIC miners!